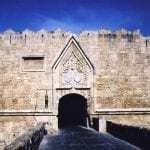 Welcome back to the Medieval City tour and also a warm welcome to The Palace Of The Grand Masters In Rhodes – A truly magnificent landmark! 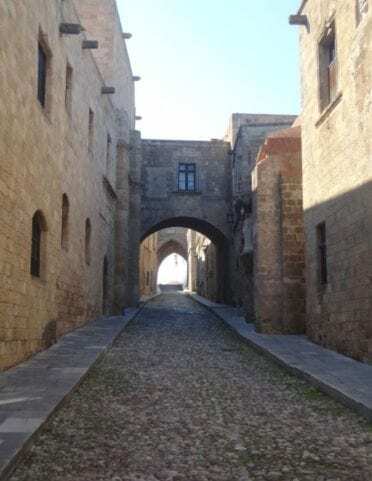 As you reach the top of The Street Of The Knights and enter under the archway, you will be standing at the highest point of the Castle, or Kastello area as it is commonly known. Standing here in all its glory on the right side is the beautiful and amazing Palace Of The Grand Masters. Back in the times of the occupation of The Knights Of Saint John, this palace was used as a headquarters for legislation, organization and governmental purposes. It was also the Knights stronghold (or fortress). This was more commonly known as The Knights Acropolis. 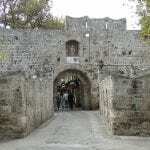 Originally it was built back in the 7th Century as a Citadel, and it has seen a lot of action since then. caused a lot of water damage due to a tsunami that took place which affected nearly 30 thousand people, many of which lost their lives. The Knights made the repairs to the palace after this event and continued to operate from there. The palace was actually used as a prison by the Turkish during the initial stages of their rule on the island. After the Italians arrived on Rhodes, an architect by the name of Vittorio Mesturino made renovations and rebuilt some of the damaged areas. This took place between 1937 and 1940. The palace went on to be a place for Benito Mussolini to stay during his holidays and if you ever visit you will clearly see his name on a large plate at the entrance. 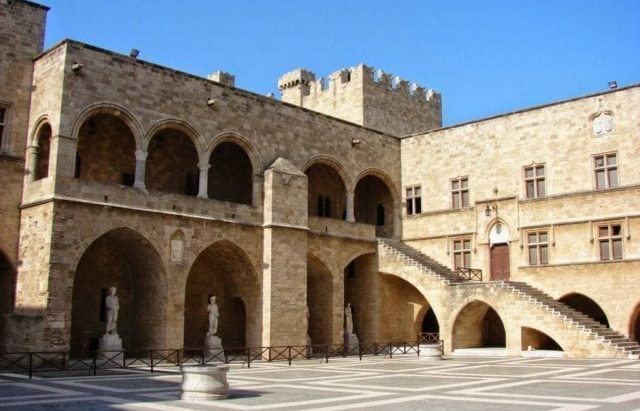 In 1948 and after the Italians departed, Rhodes was transferred to the Dodecanese Islands and The Palace Of The Grand Masters was made into a museum. It is still a museum to this day and millions of people come from all over the world every year to see this fabulous structure. When you walk onto the grounds of the palace, you really do get that feeling of going back in time. 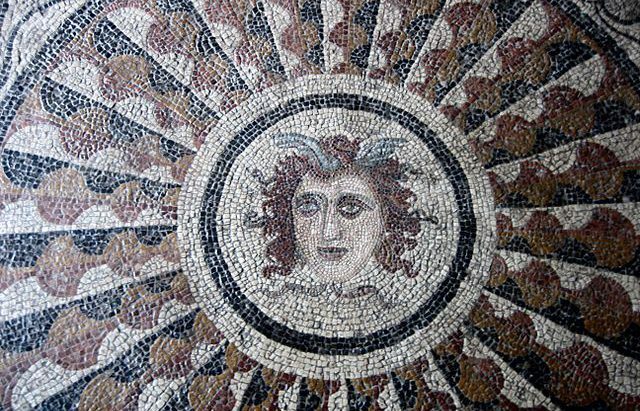 The decoration is very luxurious and exuberant and includes beautiful mosaic flooring and gorgeous statues. There really are no words to display the beauty and magnificence of the Palace Of The Grand Masters. Because of this I have put a photo gallery here for you to see. I hope this offers you some insight into just how special this location is. 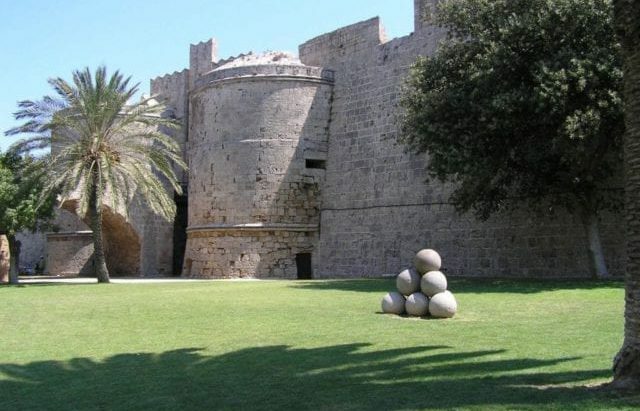 Have you ever been to Rhodes and seen The Palace Of the Grand Masters for yourself? If so, I would love your thoughts and comments. I hope this section as offered you a taste of what the palace has to offer, and if you have not seen it with your own eyes, then you should! Please leave your comments below with any thoughts or questions you have and I will get right back to you. I love hearing from all of you. Incredible. I have been to Cyprus which is Greek speaking and Turkish and many other small groups of DNA mixed in over the years. Is Rhodes like this also? Is the location of this castle in the main or largest area of the island population wise? Is it easy to photograph from a hillside of is it the kind that is better to capture from the coast? Although the largest make up of the population here is Greek, there are a lot of people from outside Greece that reside here too. 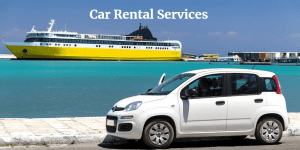 There are many Italian, Russian and English people that also stay in Rhodes on a permanent basis. 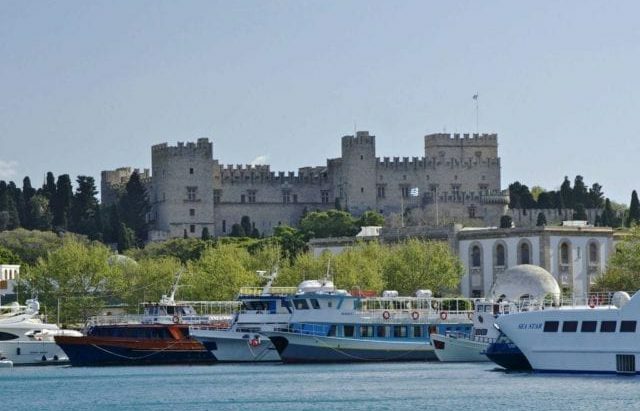 Also people from Albania and Turkey can often be seen on the island as many have chosen Rhodes as their home. As for The Palace Of The Grand Masters, it can be seen really well from the neighboring hillsides as well as from the coastal areas near the port of Mandraki. Without doubt you can get some great shots from a variety of different angles. You will not be disappointed. 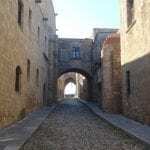 This Palace is located within The Old Medieval City which is located in the main city of Rhodes. In answer to your question, yes, the center of Rhodes is the highest populated area on the island with over 50 thousand people living here. Wow! How beautiful it is. I can’t wait to go and visit one day. Thank you so much for posting this. I was wondering if you spoke Greek? And can one get by speaking English only while in Greece? Looks so nice and peaceful and I love the rich history and culture. Hello and thanks for reading. Great to hear from you. The Palace Of The Grand Masters is an amazing place to see yes. Certainly it has a powerful presence here in Rhodes. Rich in culture and history, it is definitely one of the hot spots to visit. 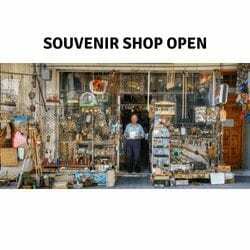 If you are ever in Rhodes, do not miss this location! In answer to your question, yes I speak Greek. I am originally from the UK, so upon deciding to move to Greece to live, it was the right thing for me to do to learn the language! On saying that, the Greeks love people that make an effort to speak a little bit. Even if it is just a few words. It goes a long way here. If you are not so good with languages you have nothing to fear, you can get by very well using only English here in Rhodes. Take a look at this course for the Greek Language if you are interested. Chris, I have never been to Rhodes, and shame on me for this as it looks like a really beautiful island. Being Italian, I never realized however that Mussolini used to spend his holidays in the Kastello, but yes, I am aware that unfortunately Rhodes was victim of Italian invasion during World War Two. You mention the Turkish invasion of the Palace. Can you see Turkish influence in any iconography within the Palace? But yes, pictures and your review are all extremely inviting to make Rhodes our next holiday destination. Hello Giulia and greetings to you all the way in Italy. Being in Italy is no excuse for not visiting Rhodes though 🙂 No, I am only joking with you. Personally I have been to Italy as well, and I absolutely loved it. You are in a very beautiful country too with some amazing history and culture. Rome – WOW. There are a lot of Italian people that visit The Island Of Rhodes every year and from what I understand, they really appreciate it. Yes, the island was occupied by the Italian Forces during the war, but they have left behind some truly wonderful craftsmanship. A lot of the structures in The Medieval City were rebuilt and they have done a really fine job. The Grand Masters Palace is breathtakingly beautiful. It is something the Italian people can look back on and be very proud. When you talk about the Turkish Rule, this was not seen as a good time for The Island Of Rhodes. In fact, it is documented as being the worst time. 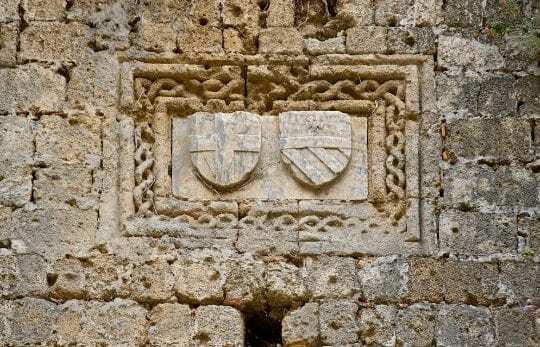 The Italians during their stay here destroyed a lot of what was build by the Turkish and you can only see certain elements that have been left behind. To my knowledge, inside The Palace Of The Grand Masters today, there is very little to no evidence of the Turkish occupation. This is something I will pay extra attention to on my next visit though. I’ve never actually been to Rhodes, but I’ve seen a castle or two in Italy that I was reminded of when seeing your pictures. I love the history of this Palace and to know about all the famous people who used to occupy it over the years. It has a way of taking you back in time as you stand next to it, I imagine. In a few years when I’m able to do some international travel, I would love to go to Greece and may have to make a stop in Rhodes. Hello there Teresa and thank you for passing by. Like you, I have also done some travelling in Italy. It was a long time ago so some of the place names escape me now. Of course I went to Rome, and this is a place you never forget, but some of the other regions had some amazing structures and castles that I wish I could remember in more detail. 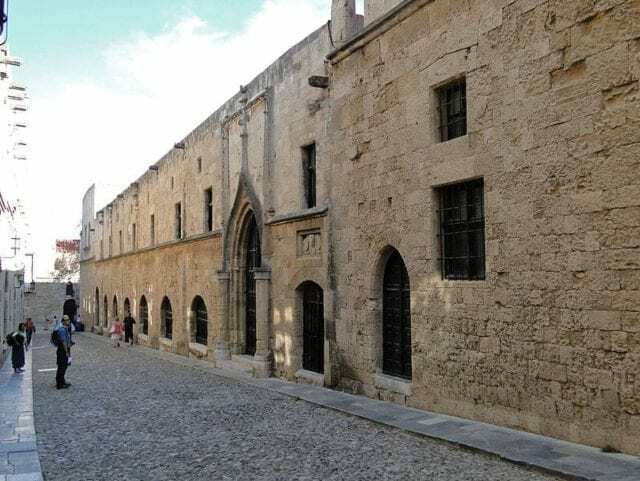 The Palace Of The Grand Masters here in Rhodes of course has an Italian feel to it. Let’s face it, it was rebuilt by the Italian forces back in the day after it suffered extravagant damage. You are right too, when you stand in front if it and admire all its glory, you really can imagine yourself travelling back in time. There is a unique feeling here! I hope you make it across here some day and experience it for yourself. Greece as a whole is filled with history and you would really enjoy your stay. Thanks again Teresa, nice to meet you. This environment looks astonishing! I have always wanted to visit other areas outside of the usa but never got the chance, and this palace is one I would definitely be interested in visiting. I did not know that an earthquake in that area could affect 30,000 people as well as the damage made to the palace from gunpowder. I can definitely imagine being in that area and feeling like I am in that timezone. Hey Arie, thanks for getting in touch. A lot of people visit the island of Rhodes from the your country every year, thousands of them in fact. Also there are a lot of Canadians that make the journey here to experience the setting here. So never say never. Indeed the earthquake at this time did a lot of damage. It is a sad event that took place and yes, lot of people were affected, unfortunately a large amount losing their lives. It gives me all the more reason to highlight these events and places so people are aware of it. Rhodes actually suffers with many earthquakes. Thankfully none occur these days which are so serious, but only last week there was another one here which registered 5.2 on the Richter Scale. There can be as many as 30 earthquakes which take place on an annual basis. The good thing that you mention here is the feeling you get when visiting. This place really does take you back in time. Just to stand here at The Grand Masters Palace takes you into the past and the feeling.. well – like you say, it is astonishing. Thanks for passing by Arie, it is nice to meet you. Thank you for the information here. 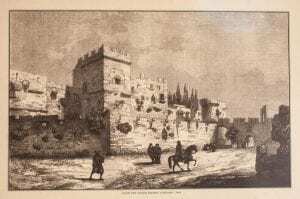 I have heard about The Palace of the Grand Masters in Rhodes but I didn’t know all this information you shared, especially about the gunpowder that destroyed the Church Of Saint John in 1856, which you stated it also caused a lot of damage to the palace. It is a very interesting place and appears to be a fantastic location to visit. Thank you again for sharing such very important and historic information. Hi Sunewako, it is really nice to hear from you and thank you for reading and getting in touch. 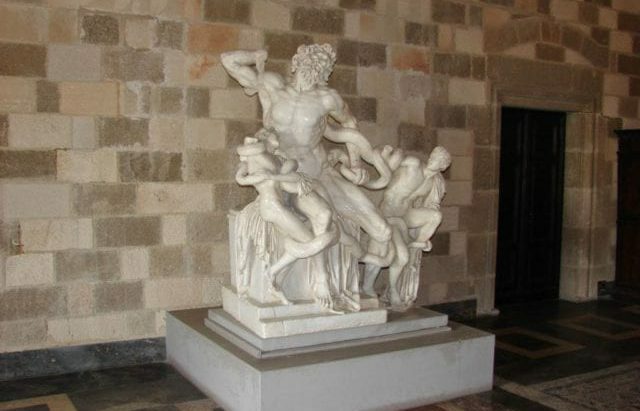 Yes, The Grand Masters Palace here in Rhodes has had its fair share of difficult times in the past. Explosions, flooding and war – it is surprising it is still standing. The different uses over the years and all these past events have really made the structure what it is today though. It is a beautiful place to see and one you will never forget. Although a lot of the structure has been redeveloped by the Italian occupation during their stay here, it has been done so with full respect to the original arrangement. You will not be disappointed! Thanks for your interest Sunewako. 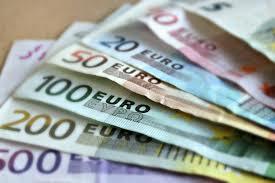 I love Greece, I love Greek music, I love Greek food, I like Greek people and I have visited Greece several times. I even had business relationships with Greek firms. Although I live in Eastern Europe, in Romania, and have studied Greek history quite thoroughly, I did not have any idea about this wonderful place so far. I think what I know about Rhodes is what almost everyone knows: The Colossus of Rhodes. The island is also quite far from the mainland Greece. I would like to visit the island of Rhodes sometime. Is there an airport on the island, or is it only accessible by boat? Hi there Basil, greeting to you all the way in Romania. I have a lot of friends here that are Romanian and I also visited your country last year. There is a nice place called Constanta by the sea, I really enjoyed it there. Maybe this winter time I will go again, but do not have solid plans as yet. In all honesty, a lot of people have never heard of Rhodes at all. I found this really surprising as it is one of the most visited islands in Greece with millions of people arriving every year. It is also the largest in the Dodecanese. 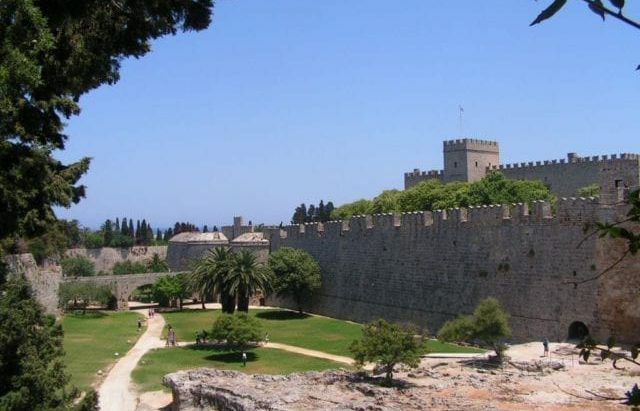 To clarify for you, Rhodes actually lies to the east of the Greek mainland at a distance of just under 600 Kilometers. I have never taken the ferry service across the water, but it takes approximately 20 hours to complete the journey. For that reason a lot of people choose to travel from the Airport. The airport here in Rhodes is on the west coast and is about 15 minutes from the city of Rhodes by car. The Airport here is called Diagoras Airport. Wow – That is an amazingly beautiful place. I have never been to Rhodes, the Palace, or even Greece yet, but Greece is on my bucket list of places to visit. I love reading about the places and sites to see in Greece, the pictures are always so intriguing and pretty. I really love your descriptions about the Palace Of The Grand Masters, including this history. It’s always so interesting to hear about how old the places in Greece are. Not only was it used as a place for government, but also as a prison. Thank you for sharing all of your insights and knowledge on the different places to visit on the island of Rhodes. I can’t wait to visit! Hey there Jen, thanks for your visit and for getting in contact with me. Great to hear from you. You are really missing out by not experiencing Greece yet 🙂 I would definitely recommend you visit should you ever be presented with the opportunity. The Palace Of The Grand Masters is absolutely amazing, and believe me, the photographs never do it the justice it deserves. It has had its fair share of its history too, earthquake and flooding damage as well as its different uses throughout the years gone by make it a perfect place for an educational visit. I am very interested in visiting Greece and because of this I keep coming back here to take a look. This is my first time reading about The Palace Of The Grand Masters. I didn’t know about this at all. I saw the pictures and they are extremely beautiful. With this beauty it inspires me to visit and learn a lot more about some of the history in Rhodes. I swear I couldn’t start imagine what happened in 1400’s. Thanks, you have a great review here! Hi there James, and thank you once again for your visit here. The Palace Of The Grand Masters really is one of the focal points on the island and one that should not be missed. It is important historically, and it is an absolutely beautiful and stunning structure. I know what you mean when you talk about the destruction in the 1400’s. The earthquake I talk about here did some terrible and severe damage. The Knights Of Saint John made the repairs though, and since the 1400’s there has been a lot of effort made when it comes to it’s upkeep – especially from the Italians’s. I grew up in Southern Italy on the heel of the boot right across from Albania. 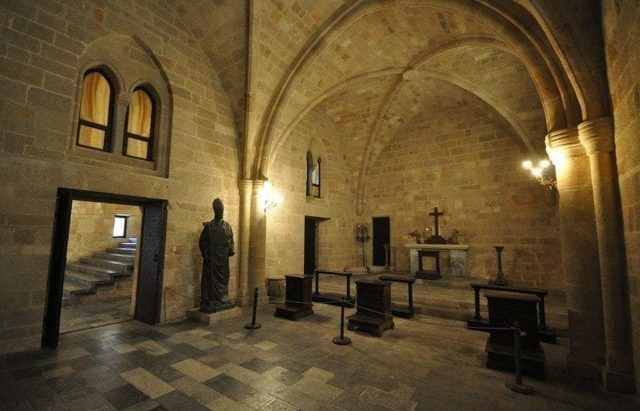 From my parents house, I could see a church built in the 13th century which was built around a chapel that, apparently, housed an icon tied to St.Francis who stopped there to pray on his way to the Holy Land. It’s amazing to me how I took that for granted, a piece of great medieval history plastered among modern architecture. Every time I go back to Europe, I go with the excitement of visiting things for the first time. Looking at the pictures of that majestic castle and all the others from the medieval city, I relive that excitement. I have been to Greece many times. Never had the pleasure of visiting Rhodes. Now, I want to go. Hello Dave and thanks so much for sharing! She was not so keen though, as living it around it, it was all normal for her. What made me smile though, was although this amazing wonder was on her front door, she knew very little about it! I did not want to make this mistake in Rhodes. I think the history is important, and as someone living here I believe it is only right to understand what is around me. I know a lot of people come on holidays here too, and they visit places and say ‘oh yes, very nice, isn’t it lovely’, but they leave not really knowing the history behind it all! That is why I wanted to make this resource here 🙂 and I hope it helps everyone! I absolutely love going through castles, they are so fascinating. I have been to many in Germany, but nowhere else. You have made Rhodes so interesting, that I have to add it to my bucket list. The Palace of the Grand Masters looks totally wonderful. So much history to experience and the architecture is so wonderful! I also have visited some of the castles and palaces in Germany. On 3 occasions I went to see the Neuschwanstein In Fussen Bavaria. A totally beautiful place as is the Linderhof Palace too! Great to know it is on your bucket list and I have tempted you for a visit. 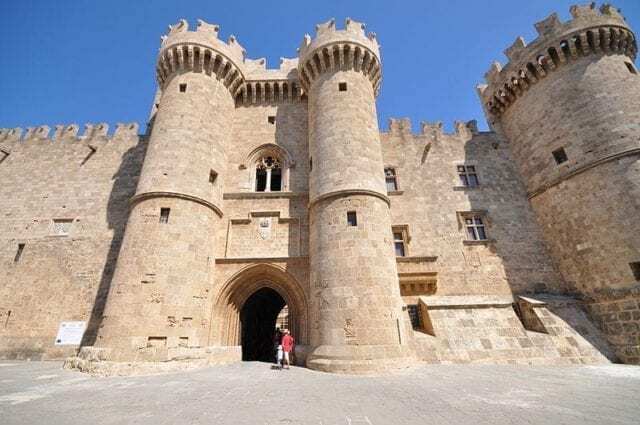 I have never heard of the the Grand Masters Palace in Rhodes before and I think it looks pretty cool! I love traveling and I am always looking for new places to put on my bucket list of places to see. I definitely love the medieval feel of this place and I think it would make for an awesome adventure! Hello there and thanks for letting me know your thoughts on this. An adventure is the right word 🙂 you have hit the nail on the head. It really is an adventure walking around the medieval city. You will love it. The streets are lined with history, culture and I think anyone would struggle hard not to appreciate it. The Palace of The Grand Masters is also very cool as you say 🙂 and is a place that should be seen by everybody, even if it is just once in their lifetime. 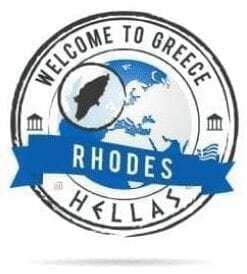 Now Rhodes is on your bucket list, let me know if and when you make some plans to come, and i will be happy to offer you more information! I’m here in New York City surrounded by dirty snow; your post literally transported me thousands of miles away! What magnificence!, I’ve never been to Greece, but I do have a screenshot of Santorini on my desktop. But you’re making me fall in love with the island of Rhodes. Thank you for sharing those captivating images Chris. Hey Veronica I am glad you liked the information here. What a wonderful place. The architecture is outstanding and very grand. I would think it would take days just to see even part of it and appreciate it all. Is it open to visitors year round? Do you know when is the best time to visit? Is it very expensive to stay in the area? Hi Kay and thanks for your comment and for your questions. Indeed The Palace Of The Grand Masters is a wonderful and exciting place, Grand as you say and definitely worth visiting. The palace is open all year round yes, although the hours of opening are more limited in the winter time. During the summer it is open all day and every day as it attracts thousands of tourists, but in the winter it is quiet here. When it comes to visiting it depends on what you are looking for. Do you like it hot? do you like it busy or quiet? The peak season (i.e the hottest and the busiest) is in August. Actually from the 2nd week in July until after the 1st week in September you will find the hottest weather and the most people. If you prefer it more quiet and the temperatures a little more tolerable, May and June are good, as also if from the middle of September to the end of October. 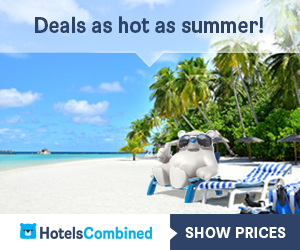 You can see more information on the climate of Rhodes here! As for prices in the area, it depends where you go of course. There are some great deals on the internet, but like everywhere, you pay for what you get. 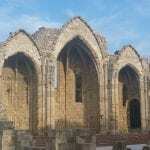 Hello, IÂ´ve never seen the Palace Of The Grand Masters in Rhodes, in fact IÂ´ve never been in Greece at all. It sounds like a magical experience and after reading your post I feel I would really love to see this place and feel its special atmosphere. Is there any tips you can give me if I decide to travel this summer to Greece? I would be coming from France, which city is better to arrive? Do you have any route suggestions? Hey there Gopika and thanks so much for your questions. I am happy you liked the information here with regards to the Grand Masters Palace, and I promise you, this place has a very special atmosphere 🙂 Just what you are looking for. I just wanted to answer your queries here and I think you will be surprised by the answers. As for the routes you ask about, again it is very straight forward. There is one road (One Only) that goes all around the island, So from your starting point, you can drive all the way around and get back to where you started from – all on the same road – the coastal road. There are of course small ‘off’ roads to get you into the middle of the island and they are very easy to navigate. All the signs on the roads are in both Greek and English, so it is pretty straight forward. Does this answer your questions? I hope so, but if you need something more just let me know! Can you imagine that MEN built that?! I love to see the great sites and how far we have come yet nothing can beat the old ways of laying bricks and mortar. There is something to be said about good works. Hey there and thanks for your point of view. 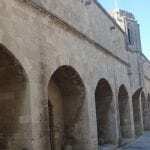 It is important what you say too, as some of these old structures such as The Palace Of The Grand Masters In Rhodes (and of course many other ancient sites around the world) really have stood the test of time. A lot of them have seen war, encountered Force Majeure and of course just time itself. Some of these new structures of the modern day are not only not as strong, but they lack individualism too don’t you think? There is nothing quite like seeing something standing in all its glory and withstanding the test of time. This Palace will still be here thousands of years from now, where the newer structures we see today will have fallen by the wayside. Thanks so much for your comment. Much Appreciated!